The Arbela 1-Light Mini Pendant, designed by Carolyn Kinder International, features a rust-black finish with aged grey undertones and a crackled-glass cylinder inner shade. Available to trade professionals at Uttermost.com. 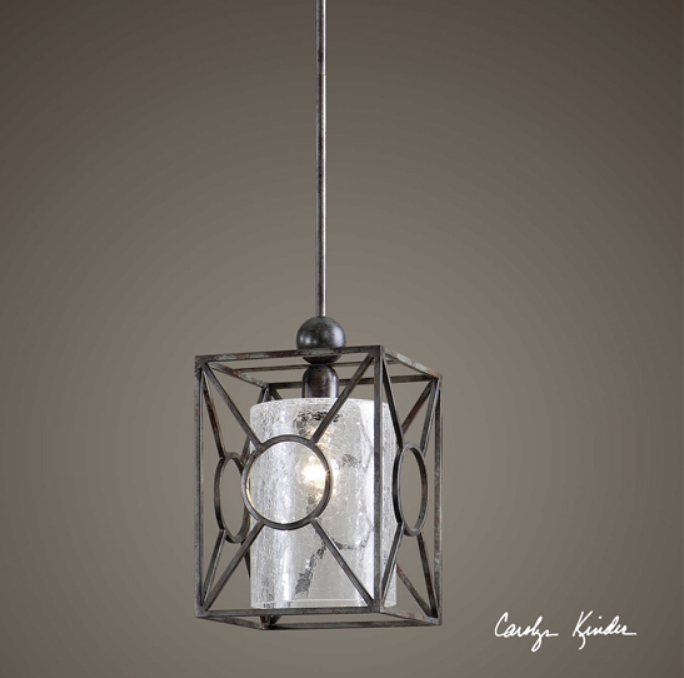 For retail purchase Google search term “Carolyn Kinder Arbela 1-Light Mini Pendent”.